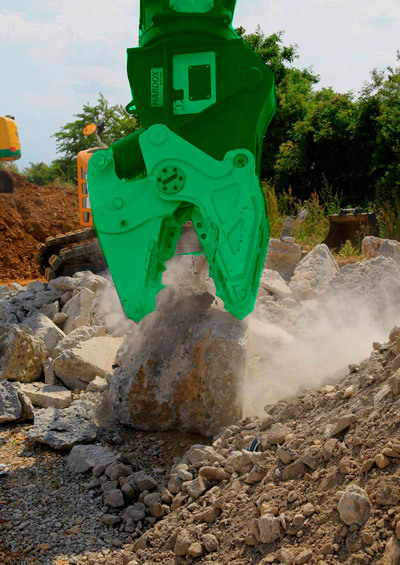 With 5 available jaws the change system is fully hydraulic and semi-automatic to guarantee versatility and safety, without loosing power and speed. – Secondary Demolition: where it will be necessary to extract and recuperate elements or precious components (copper, aluminum, iron, steel, wood, etc.) or for the drainage of an area of environmental impact where there is the presence of toxic, inflammable and contaminating materials.